Therapy aid to boost reading comprehension, narrative comprehension, and oral and written expression skills. The Narrative & Discourse Builder Tool is a visual and hands-on therapy aid to assist students with reading comprehension, narrative comprehension, and oral and written expression skills. Students affix the organizational prompt magnets to the board front to identify and organize story elements. The magnets are then transferred to the reverse side and used as a visual map to guide recalling and writing story elements. Its effective design will help students better understand what they have read or experienced, allowing students to become more effective at recalling and summarizing the elements and progression of any story. Magnetic and dry erasable surfaces. Ages K - 7th grade. Made in the USA. Present the Narrative Builder board front-side-up for "Reading Comprehension." 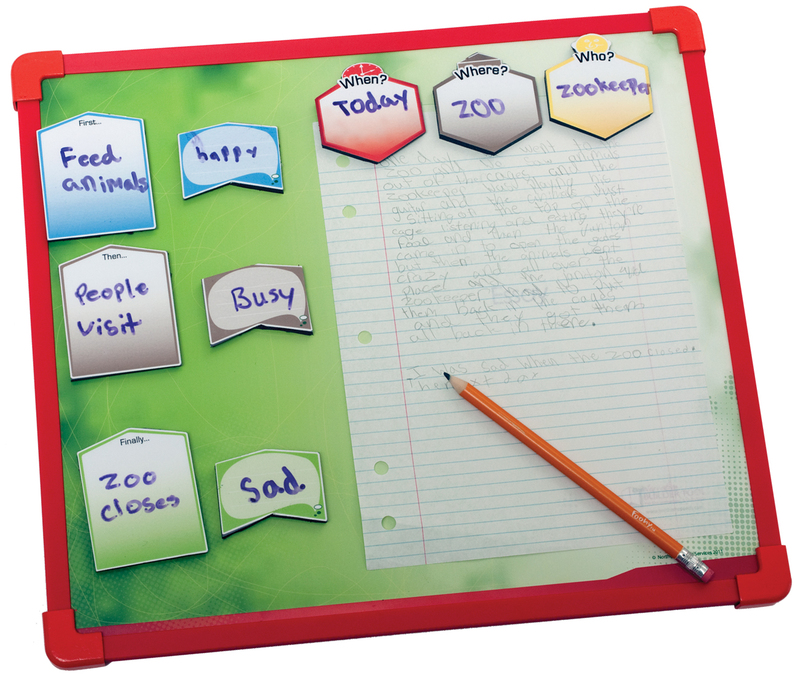 Read story and map story elements on the appropriate dry-erasable magnetic prompts. Once the story is completed, transfer the magnets to the reverse side to create a story map. Students then follow the story map as they recount the story in either written or oral form. Students affix the organizational magnets to the board front to identify and organize story elements. Divided into three sections: Setting & Characters, Timeline of Events and Descriptive such as How did they feel? or What did they think? Students transfer dry-erase, organizational magnets to map story elements. Features a "Top Down" layout for recalling the story. Designed to hold an 8 ½ x 11 sheet of paper. 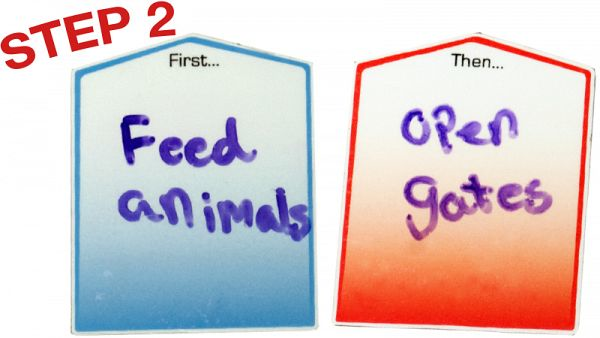 Step 1: Dry-erase prompt magnets help students organize and comprehend what they read. Click for visual. Step 2: Prompts generate events for story chronology. Click for visual. 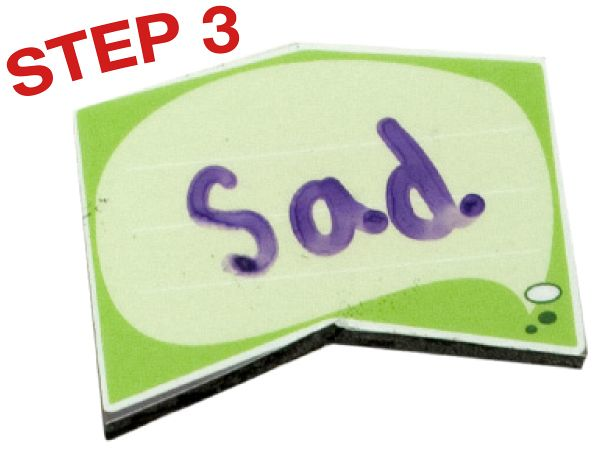 Step 3: Helps students develop descriptive words and identify with characters. Click for visual. Step 4: Transfer magnets to the reverse side of board for organization and development of essay. Click for visual. Students will identify, organize, and recall elements of any story. Students will better understand what they have read and be able to communicate the narrative more easily and in more detail. About 15 minutes to complete a lesson. For speech-language pathologists, special educators, general educators and others working with students on reading comprehension, narrative comprehension, and oral and written expression skills. Use with students K - 7th grade. Nicole Gerami, MA, CCC-SLP, lectures on treating children on the autism spectrum and provides in-service training to educators on effective methods for teaching language comprehension from printed material. Nicole treats children with a wide range of delays and disorders and is best known for her work with children with autism spectrum disorders, including her Narrative Builder approach for teaching children with autism and other developmental disabilities to comprehend what they read. Nicole is co-creator of the Program for Establishing and Enhancing Relationships through Social Skills (PEERSS™) and Friendship in Teams (FIT™), and she is a founding member of Nicole Gerami, LLC. Nicole is a frequent lecturer for the Ohio Speech-Language-Hearing Association, Milestones, and the Cuyahoga County Special Education Service Center. Nicole received her master's degree from Case Western Reserve University in Cleveland, OH where she is currently an adjunct instructor. She is the author of Narrative & Discourse Builder Tool. Financial — Nicole Gerami is presenter of online CEU courses sponsored by Northern Speech Services; receives royalty payments. Financial — Nicole Gerami is the author of Narrative & Discourse Builder Tool published by Northern Speech Services; receives royalty payments. Nonfinancial — Nicole Gerami has no relevant nonfinancial relationships to disclose. Using this product? Please email us with your review.